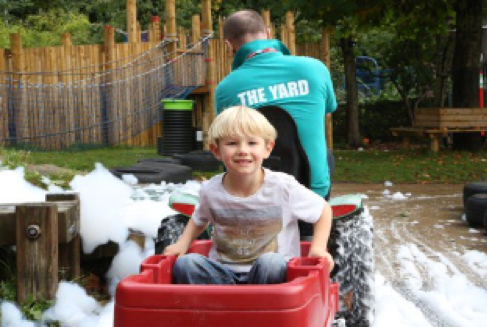 For our tenth #trusteehour, we took part in a collaboration with The Yard, a charity with its HQ in Edinburgh which offers a haven of adventure play for disabled children and their families. 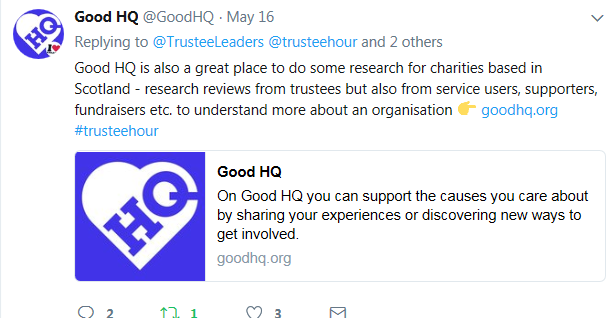 With the prospect on the horizon of a capital build project to create another adventure play centre, we were keen to tap into insight from #trusteehour followers on how other charities had approached various aspects, including planning, fundraising and the governance involved. During the hour, there were over 4,000 views and lots of tips shared – here’s a top 10. 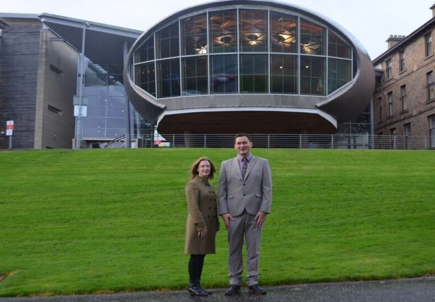 We’d like to particularly thank the Prince and Princess of Wales Hospice CEO Rhona Baillie for sharing their recent experience in fundraising for, and building, their new hospice; and Mark McGeachie from Youth Scotland, for sharing their experience of renovating their HQ base. Consider your local geography – certain approaches may have worked well elsewhere, but they need translated and adapted to be successful in your area. 4. Have a contingency budget – expect the unexpected when it comes to costs. 5. 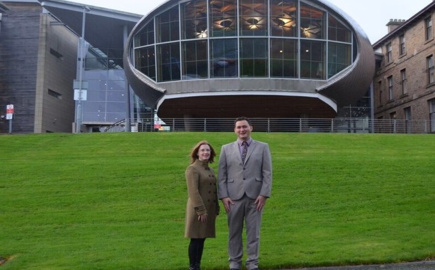 Have you fully explored all the options around your building? We wish The Yard all the best in their future plans as they expand their operations to a new area, offering more families access to the fantastic adventure opportunities which enable children with additional needs to play. Ah sub committees. They can be brilliant with a tight remit, clear reporting structures and a clear review process. Otherwise steer well clear (in my opinion). 4 board meetings pa for 3 hrs is 12 hours a year to do everything. Create work plan and delegate spadework to cttees to get coverage without having too many. Driven by board objectives. And Ian wasn’t alone in that experience. 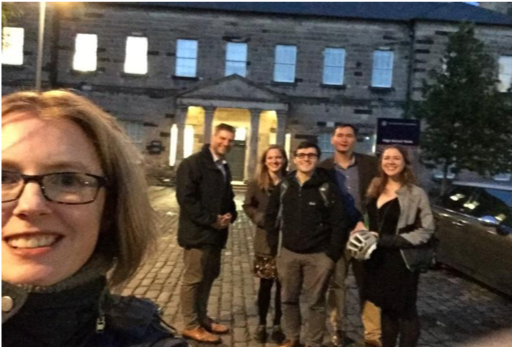 Another angle we drew attention to was the opportunity offered by a committee role, as a first experience of charity governance, or a means to share your expertise without the full commitment of a trustee role. A number of charties do co-opt external members. External members can share their expertise on whichever sub-committee they sit, although don’t attend board meetings and are usually not trustees. Will certainly give it some thought and let you know. Keen to engage Young Trustees and see change in perception on how people with learning disability can engage at all levels of governance, Board, Committees etc. Finally, join us for our next #trusteehour on Tuesday 14th August, 7-8pm (note earlier time) where @TheYardScotland is hosting us as we look at top tips for charities embarking on a capital build project, a theme we’re supporting to help the Yard with their forthcoming new project. 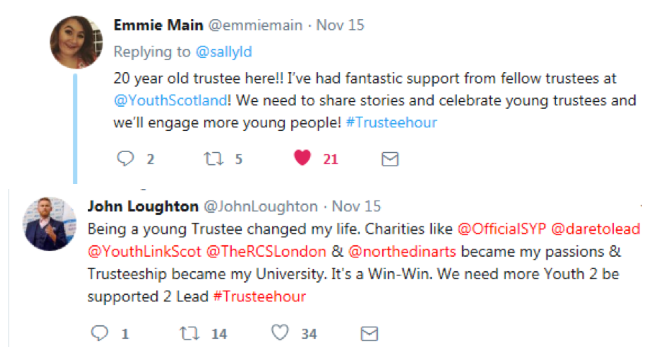 We’re keen to continue to take #trusteehour on tour – if your charity has a specific area of interest for a future #trusteehour, get in touch with us @trusteehour! Please note: some of the graphics were unable to load on this occasion, so they are placed as text. 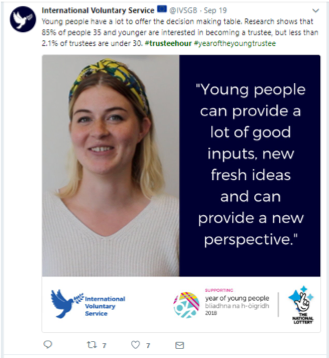 With over 7,000 views, our topic for May’s #trusteehour clearly struck a chord – what research should you do before saying yes to a charity trustee role? Thanks to @RummleGumption for the theme idea. 1. Basic due diligence online means checking out a charity’s website; googling for news stories involving the charity; look at their accounts online; look at their information on the charity regulator’s website. Thanks to @ian_mcl for his list of these. 3. Look carefully to find out about the exact legal structure of the charity. There are two main kinds. One is unincorporated (for example a trust or an unincorporated association). The other is incorporated (for example a company limited by guarantee, or a CIO in England and Wales, or SCIO in Scotland). This latter type offers a bit more liability protection for charity trustees and has other benefits, such as contracts can be in the name of the charity instead of individual trustees. Two blogs were shared. The first was a guest blog I wrote for OSCR’s website with top ten tips on due diligence. The second blog was from @CT_charities, which made a good point about checking if induction support is available for new trustees. 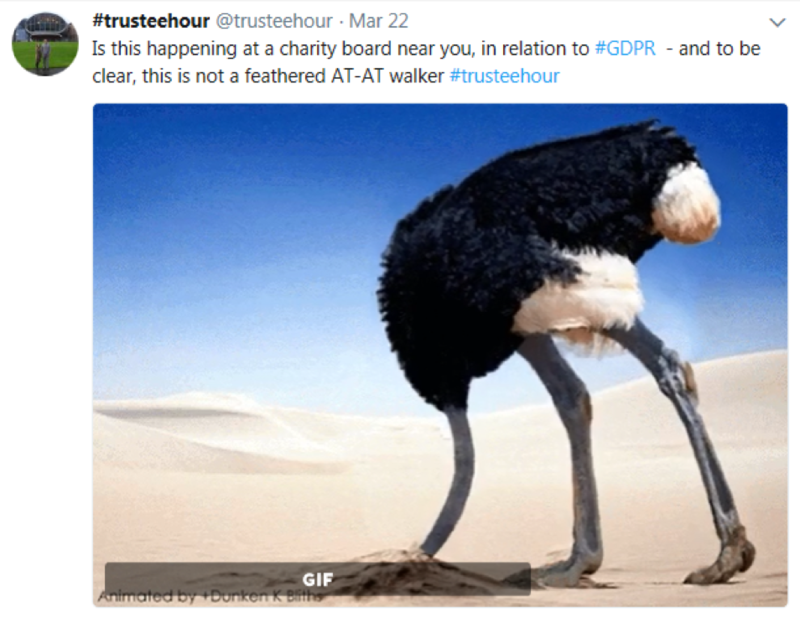 And finally, news of our next #trusteehour on Tuesday 12th June 8-9pm – the topic is ‘When is it time for a trustee to step down?’ with thanks to @MairWCVA for the theme idea.